Fan Duel has added Thursday Sept. 8 start Fantasy NFL Contests. Just as we all thought would happen, Fan Duel has added a Thursday start NFL Slate for week one. That means for everyone who just can’t wait until Sunday the 11th, you can start your fantasy season right from the first Kick off of the 2016 season. The Highlighted Thursday start contest on Fan Duel is the $250K NFL Rush, which is a $5 entry, $40K to 1st place and pays out over 11,000 winners. 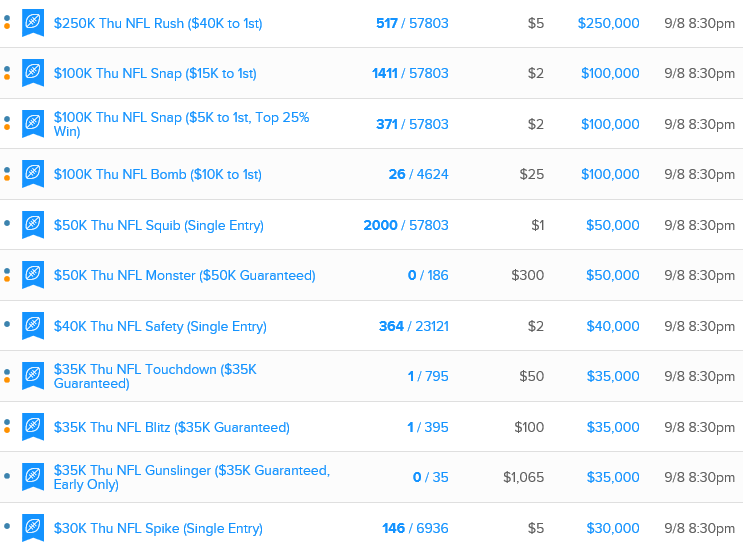 Of course there are all kinds of $1 and $2 contests open for the Thursday slate, including the $2 NFL Snap ($100K GTD) and the $1 NFL Squib ($50K GTD). The first regular season NFL game of 2016, kicks off at 8:30 PM ET and has CAR -3 at DEN (42.5). Players to watch in this one are C Newton CAR QB 8600, G Olsen CAR TE 7500, J Stewart CAR RB 6400, T Ginn CAR WR 5900. The DEN DST is still very good, so limit your expectations for really big fantasy scores from the Carolina skill players. I can’t see M Sanchez DEN QB 6300 doing too much against the stout CAR DST. D Thomas DEN WR 7200 and E Sanders DEN WR 6800 will accumulate their usual receptions and yardage, but it looks like scores will be harder to come by. It is the first game of the week, so don’t overload your rosters with CAR and DEN players. You can’t win anything on Thursday, but you can lose everything with a Thursday heavy line up with little or no scoring. You should always be very selective on your Thursday start players, remember you still have everyone on all the games on Sunday and Monday to choose from. Fan Duel will give all new players a 5 Pack of free contest entries with their first deposit. 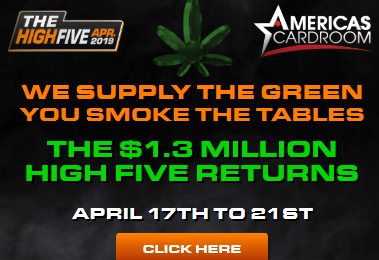 « Have you signed up to Play the $100K Free Fantasy Football Contest Yet?